How to Lighten Dark Lips Naturally at Home? Who does not wish to have a pink rosy lip? Although you have an alternative to wear pink colour lipstick or a glossy cover over lips, but how long? For some people, talking about dark lips is actually injustice because for some dark lips is genetically inherited and there is no remedy to get a pink bright looking lip all of a sudden. Summer season can also be addressed as tanning season; this is worst out of all season. 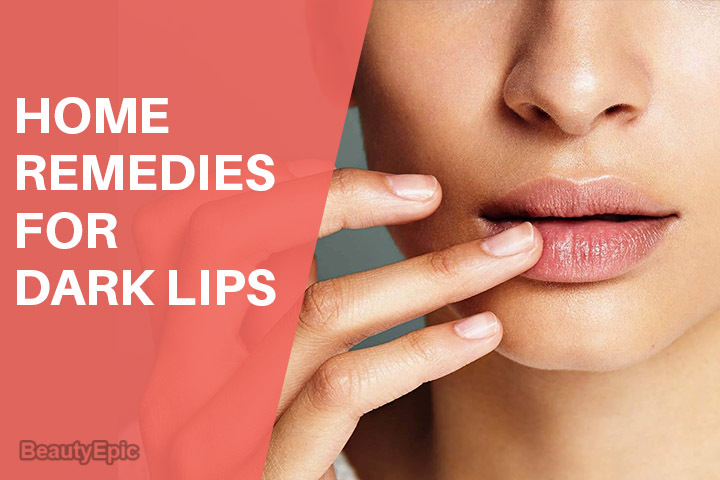 Along with skin if your lips have turned black because of tanning, home remedies can help you get rid of this darkness, and give u pink lips naturally. Dark lips may be due to various reasons ranging from accumulation of dead cells to smoking problems. Moisturize your lips and keep them hydrated. 1. Sugar Scrub: Take sugar and use it like a scrub. This will remove the darkness and dead skin from your lips and provide your lips a pink color. Repeat this daily in order to get rid of black lips. The most inexpensive and simple home remedy is using sugar. 2. Petals & Milk: Crush a few fresh rose petals in milk and blend it to prepare a fine paste. Use this paste on your lips and leave it. Re-apply it till you see the effect. Milk will reduce the dark color and rose petals will make your lips rosy and gorgeous. 3. Coriander Leaves: Before going to bed, rub some fresh coriander leaves on your lips and leave it overnight. In the morning, notice the difference. 4. Olive oil: Olive oil contains several vitamins and minerals that help to treat the dark looking lips. Rub 1 or 2 drops of olive oil on your lips. This will reduce the darkness and moisturise your lips. The best thing is to apply some olive oil over lips and leave it overnight. 5. Lemon Juice: Yes! We all know that lemon juice is a bliss not only for hair and skin but I t is also beneficial in making your lips beautiful. Apply 2-3 drops of lemon juice on your lips. Stretch your lips and massage gently. You will see the darkness getting lighter. 6. Rose oil: Take 2-3 drops of rose flower oil and apply it on the lips. Rose flower oil will give you pink naturally. 7. Orange Peel: Don’t throw away the orange peel; it can be very useful for your lips. Rub the orange peel on your lips and see the miracle. Orange is rich in Vitamin C which helps to restore the vital minerals and vitamins in the skin and also the peel of orange helps to exfoliate the skin well. 8. Brush Your Lips: When you are done with your brush in the morning, brush your lips. Do it on a daily basis. This will work as a scrubber and remove the dead skin. Apply a good lip balm afterwards. 9. Coconut Oil & Almond Oil: Mix coconut oil & almond oil in equal proportion. Fill it in a container and replace your lip balm with it. Apply regularly to get soft and pink lips. 10. Butter: Just like any other body parts, your lip needs care and maintenance too. Applying some butter can work wonders on skin as well as lips too. All you need to do is apply butter on your lips. It sounds weird, but it actually works. Applying butter on a regular basis will provide moisture and make your lips soft. 11. Scrub: Take a regular walnut or almond scrub and rub it on your lips to remove dead skin. Dead skin appears to be black. Scrub will remove the dead skin, retaining the softness and pinkness of your lips. 12. Almond & Sugar: Take honey, sugar and almond oil and mix the ingredients. Apply this on your black lips and gently scrub. Almond oil will moisturize your lips, sugar will scrub the lips while honey will give your lips their natural color. 13. Mustard Oil: Mustard oil remains one of the best homemade and simple remedy which helps not only to get soft skin but it helps to boost the lips too. Before sleeping, put 1-2 drops of mustard oil in your naval. Do this every day to get pink and seductive lips. 14. Turmeric Powder: One of the magical ingredients used in the kitchen is turmeric. There are numerous ways and tricks when turmeric can be used on skin to cure any type of infection to healing them properly. Take some turmeric powder and mix honey in it. Apply this thick paste on your lips as a lip balm and leave it for few minutes. You can continue doing this for few days which surely does not have any negative effect. 15. Cucumber Juice: Cucumber can give you the lips, you always wished for. Apply the juice of cucumber on your lips and keep it as long as you can. Repeat this remedy for 15-20 days and see the difference. 16. Strawberry: Using a homemade lip balm out of strawberry or rubbing some slices of strawberry on the lips can help to eliminate the dead skin on lips. It also keeps the lips moisturised. 17. Tooth Paste: You would be shocked to know how toothpaste can help to treat dark lips. Surprisingly, toothpaste works wonders on lips and skin too. Applying some toothpaste with some lemon helps to give whitening effect which ultimately treats dark lips. 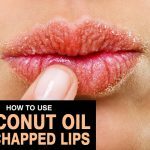 If you wish you can give a try some natural remedies to soften your lips then try some of the aforementioned tips on how to get rid of dark lips. 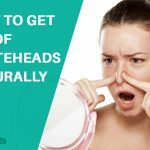 These remedies are simple and quite easy to practice. They can nourish you lips and make them naturally beautiful.